The Bamyan province lies at the centre of Hazarajat, one of many territories of which Afghanistan is made up. One of the larger minoritised peoples of Afghanistan, the Hazara —a Farsi-speaking, Shi’a group—, live there. A couple of years ago, Nationalia released —find it here in Catalan— an interview with Carme Roure, in which the state of discrimination and violence faced by the Hazara was analysed. Today, we are having a look onto a rather kinder face of that territory through this Global Voices story. The Bamyan region in central Afghanistan might be best known outside the country for a horrific crime perpetrated against cultural heritage, but 17 years on there are few parts of Afghanistan doing more to preserve culture. In 2001, the Taliban infamously blew up a giant carved Buddha in Bamyan, a region defined by its diverse archaeology, coruscating lakes, vivid panoramic valleys and rich-green meadows. If it is possible to muster a response to such devastating cultural loss, then the five-day Dambura Festival, which has now become a regular fixture in the region, would seem appropriate. This year, the second edition of the festival took place under a brightly-coloured blue sky on June 29, welcoming thousands of spectators from across the country to celebrate the hypnotic jingle of one of the country's best-loved instruments. The guitar-like dambura is made from mulberry wood. It is mainly played in the northern and central parts of the country. The Dambura Festival is much more than a sing-a-long, however. It aims to promote traditional music, introduce traditional handicrafts, strengthen tourism and celebrate culture. While such events are routine in many countries, in Afghanistan, they carry special significance, because they are not easy to hold once, let alone twice in a row. 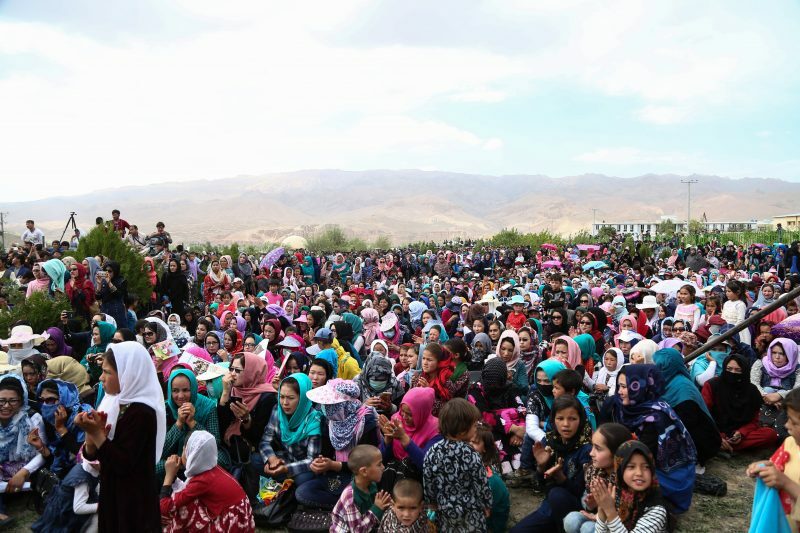 Bamyan has seen less fighting than many Afghan provinces, which means there are fewer security constraints for organisers. 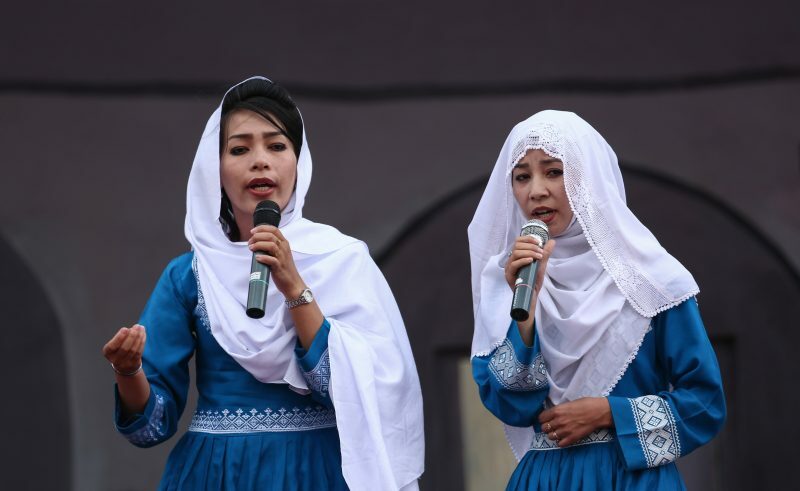 In the last few years, the valley fortified by the Hindu Kush and Koh-i-Baba mountain ranges has hosted other festivals including the Silk Road Festival and Gul-e Kachalo (Potato Blossom Festival) among others. 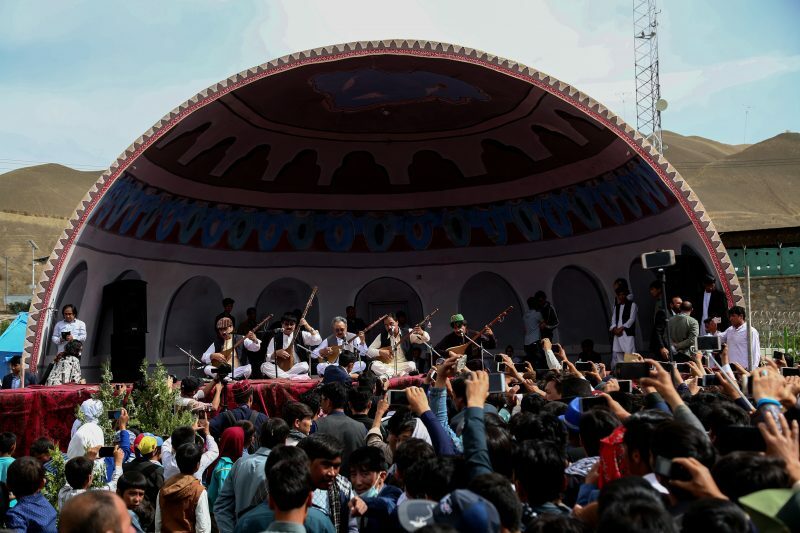 Last year organisers were strongly criticized by the Bamyan Ulema Council, which called it Haram — unlawful — echoing the hardline position on music and dance propagated by the Taliban during the group's reign from 1996 to 2001. Nevertheless, the show went on. Many artists came from other provinces — Ghazni, Ghor and Daikundi as well as the capital Kabul. The festival was supported by the Chinese Embassy to Afghanistan, UNESCO and the provincial government. One challenge for social conservatives created by the festival is the prominence of women there. Out of 11 different performances, four were carried out by girl troupes. Although many praised their contribution, others registered extreme disgust. On Facebook female dancers and musicians were called “whores” who spread fahsha (whoredom) and promoted Western thoughts. Afghanistan's artistic and cultural life has been profoundly impacted by years of war. Sarwar Sarkhosh, a dambura legend, was amongst many who perished during the 1980s. 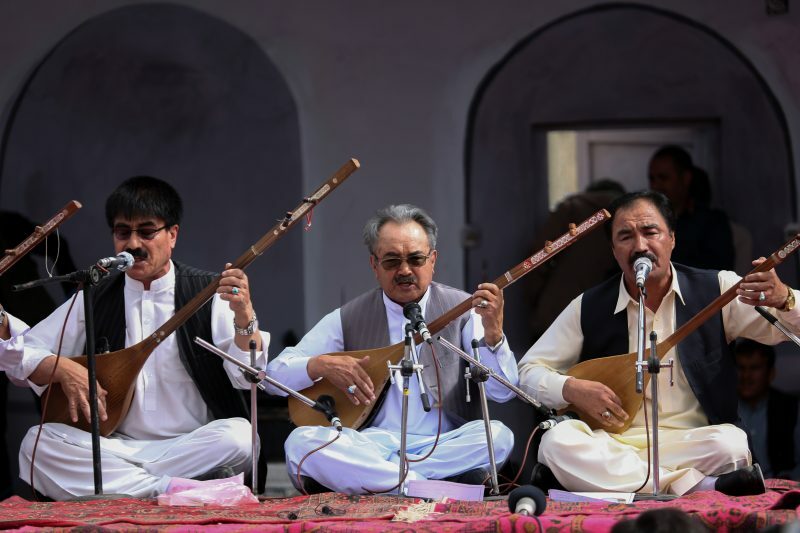 The June festival awarded Sarkhosh for his art and the sacrifices he made to develop music in Afghanistan, particularly Hazaragi traditional music. While Bamyan locals often accuse government of ignoring their region in terms of infrastructure and public services, tourism has emerged as an economic mainstay thanks to the work of organisations like The Bamyan Cultural Center and the Bamyan eco-tourism programme. The festival is another year. Although there is a small trickle of foreign tourists into the province every year, mostly it is Afghans from other provinces who brave the unstable roads leading into Bamyan. 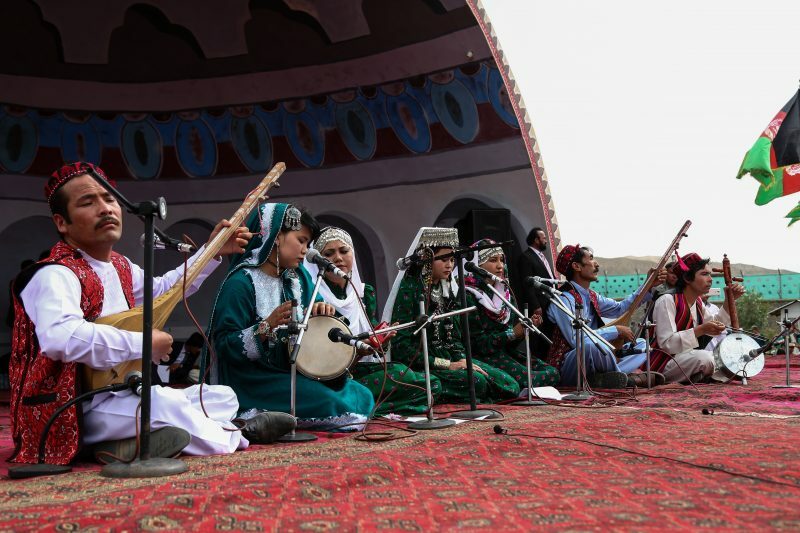 “I wish every province was Bamyan and every resident was a Bamyani,” Ahmad Kakar, a resident of Jalalabad province who attended this year's festival, told Global Voices. Educació i estudis de gènere. Programa Gami Baray Hamzisti de resolució de conflictes i construcció de pau.